If you have or care for kids, you may be thinking about the best flooring solution, with optimal benefits for not just you, but also the child. Fortunately, Pavigym have combined innovative technology with modern designs, textures and patterns to create the ultimate kids flooring solution. Paviplay kids flooring is composed of a soft textured material that offers ultimate protection for children against bumps and falls. It not only provides ultimate protection, it is extremely comfortable for the little ones to rest on. 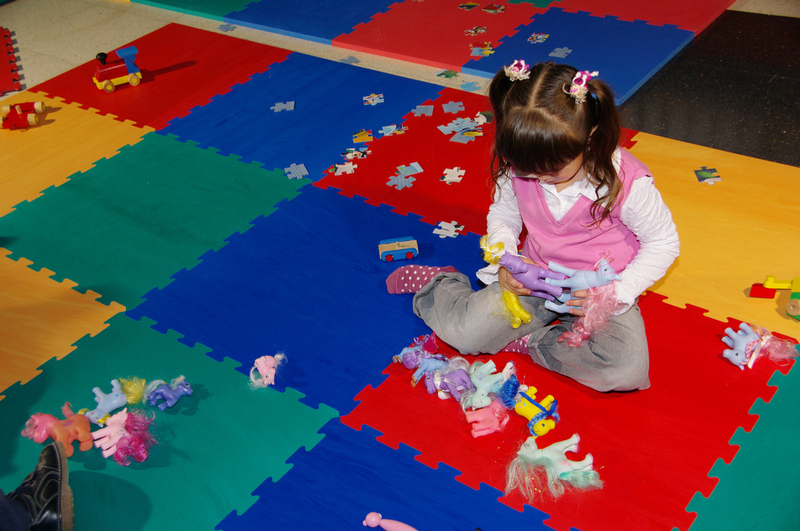 Paviplay flooring is recommended for indoor areas, such as classrooms, nurseries and play areas. Our artificial grass flooring range is one that we are extremly excited about! 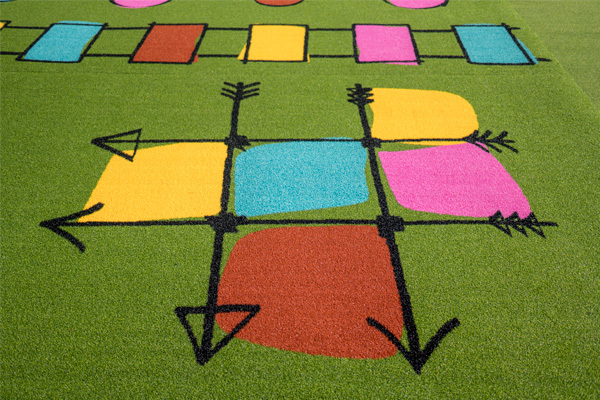 Kids turf is not just desgined for comfort and aesthetics. It provides kids with preset games. This new flooring range for kids is not only extrmely fun, it also brightens up any area. With this in mind, we have an extensive colour range for you to choose from to go with your colour scheme. You no longer have to spend lengths of time preparing a play area to entertain the kids, we have one ready for you! 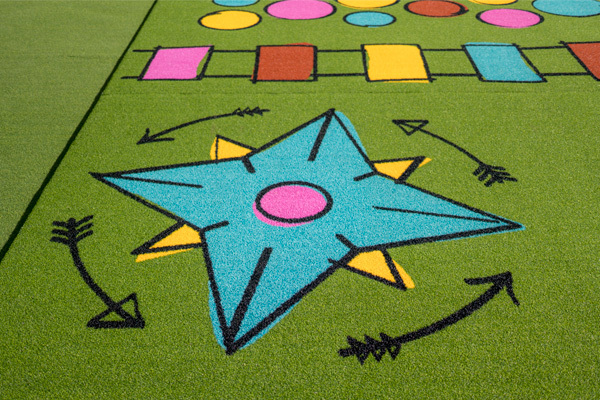 Kids turf can be placed either indoors or outdoors, Take a look. What flooring do I choose for my kids? The main criterias for kids flooring are: safety, hygiene and aesthetics. The majority of kids flooring has one quality but not another, they could be extremely colourful and creative but lack when it comes to hygiene qualities. With Pavigym kids flooring we have come up with a material that will ensure all three of the basic qualities you look for in your kids flooring are covered. Pavigym kids flooring is made up of an air flooring system, this provides optimal absorption of impact, protecting the child from any fall or injury. We know how children like to jump,slide and run around. We were that age too…once upon a time! Pavigym kids flooring has been manufactured using safe, raw materials which include antibacterial protection. In addition to the flooring choices being extremely easy to clean, their intlerlocking system ensures no liquids are able to seep through the gaps in the floor, meaning odour and hygiene problems are unlikely to occur. Did you know that the use of bright colours can help a childs early development? Colours are amongst the first things that children have recognition of. So with over 14 colours to choose from you can let your inner child imagination run free! And it doesn´t stop there, our interlocking system creates a jigsaw-like design! Cool right?